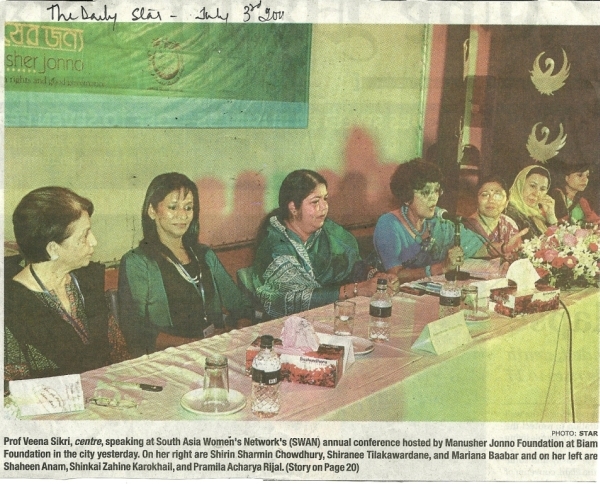 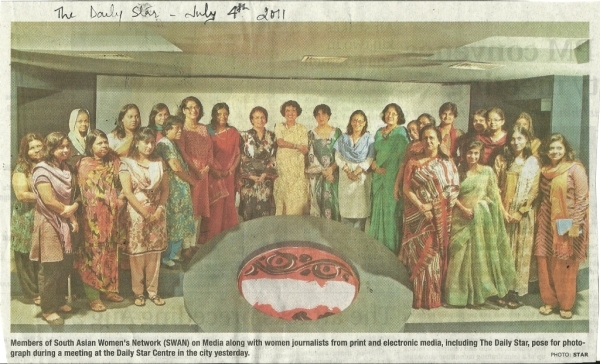 The South Asia Women’s Network (SWAN) is a programme headquartered in the Academy of International Studies, Jamia Millia Islamia, a Central University located in New Delhi (India). 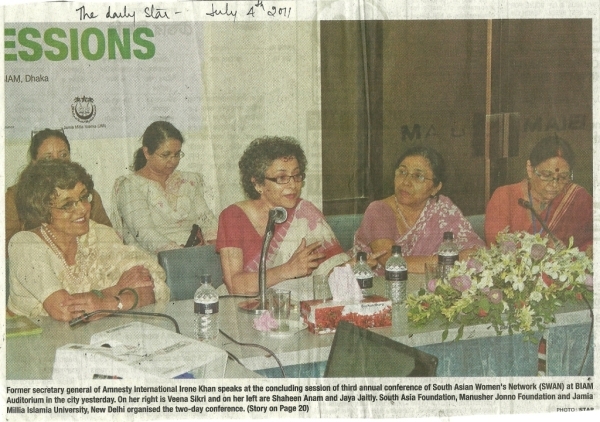 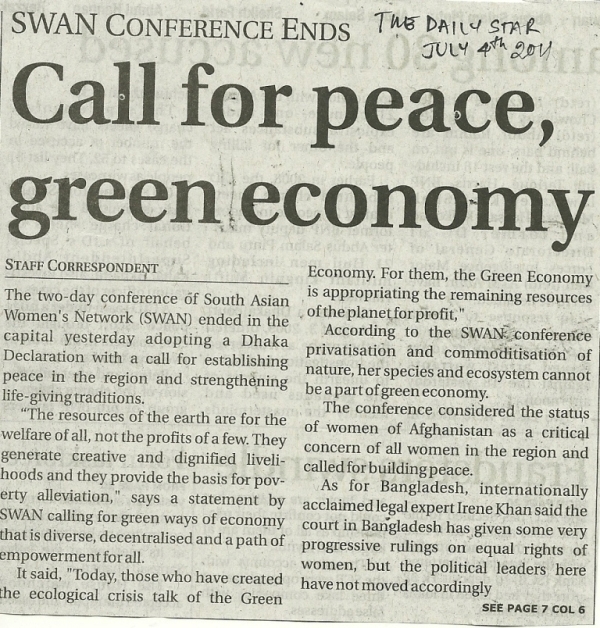 Professor Veena Sikri, who holds the Ford Foundation endowed Chair (Bangladesh Studies Programme) at the Academy of International Studies, is the Convener of SWAN. 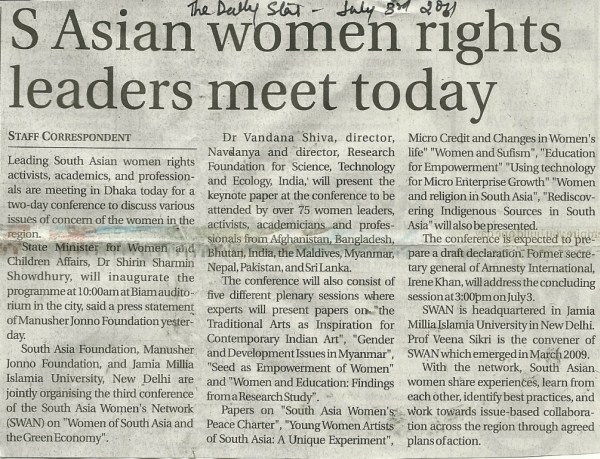 Chandigarh,India from 13-15 March 2010.